Identify the producer in an ecosystem. Classify consumers as herbivores or carnivores. Investigate the interdependence of the organisms in an ecosystem. 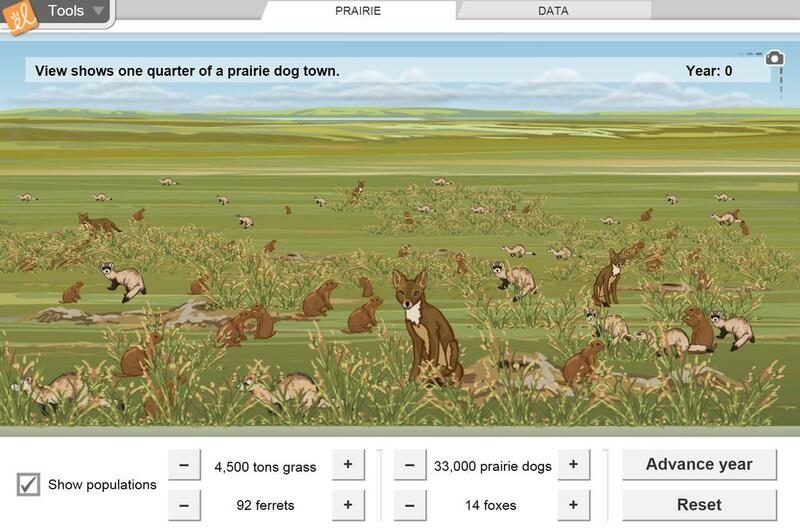 Determine what each organism eats based on the results of experiments. Explore the long-term effects of changes to the ecosystem. NECAP isnthe New England Common Assessment Program and serves Vermont, New Hampshire and Rhode Island. T... (more)his GIZMO has been adapted to reflect the style and format of the NECAP inquiry task. Great Gizmo for food chains and population. Also good for effects of each organism on the ecosystem. Nice tool for showing the interrelationships of organisms in an ecosystem. Great way to show the impact of events on ecosystems. Analysis questions excellent; graphs show change over time.